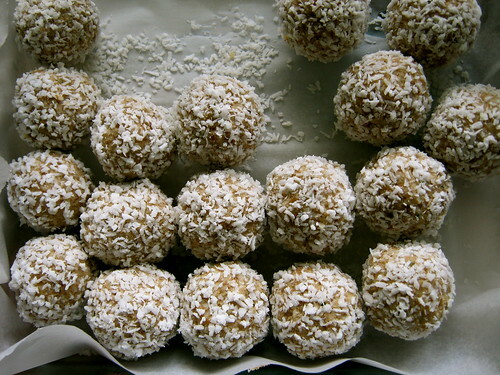 roll into balls, then roll balls in more coconut. refrigerate. eat them up. yum.